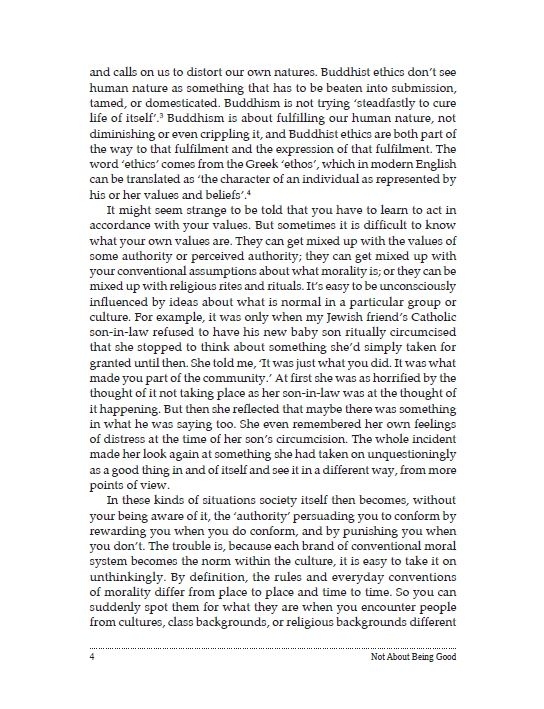 Buddhist ethics are not about conforming to a set of conventions, not about ‘being good’ in order to gain material, social or religious rewards. Instead, as Subhadramati outlines, living ethically springs from the awareness that other people are essentially no different from ourselves. 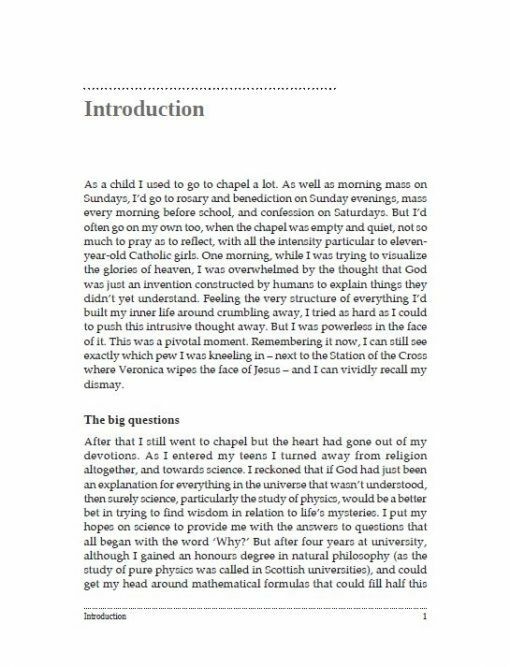 Please note that our eBook edition is available in either a Standard or Enhanced epub. The Standard epub contains only the text, exactly as it is in the print edition. 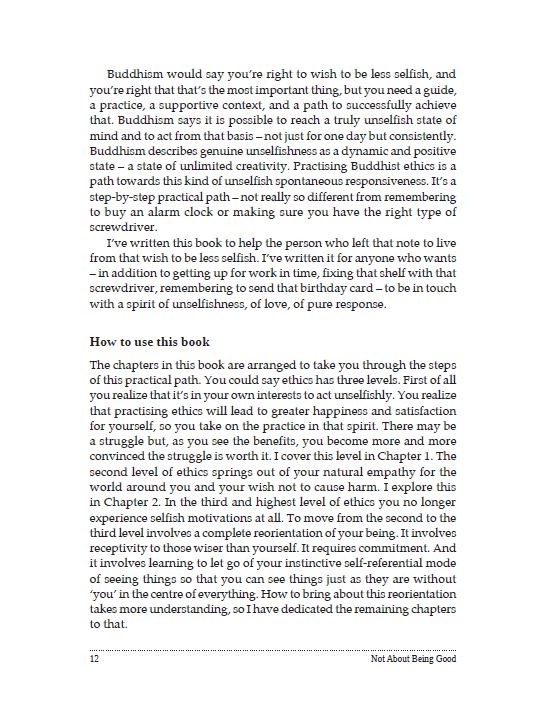 The Enhanced epub contains the text, plus audio files of guided meditations and reflections embedded within it. If you purchase the Standard epub you can still download or stream the audio files, in the same way as you are invited to in the print edition, on the audio downloads page. The mobi eBook is available only in a Standard version. While there are numerous books on Buddhist meditation and philosophy, there are few books that are entirely devoted to the practice of Buddhist ethics. Subhadramati communicates clearly both their founding principles and the practical methods to embody them. 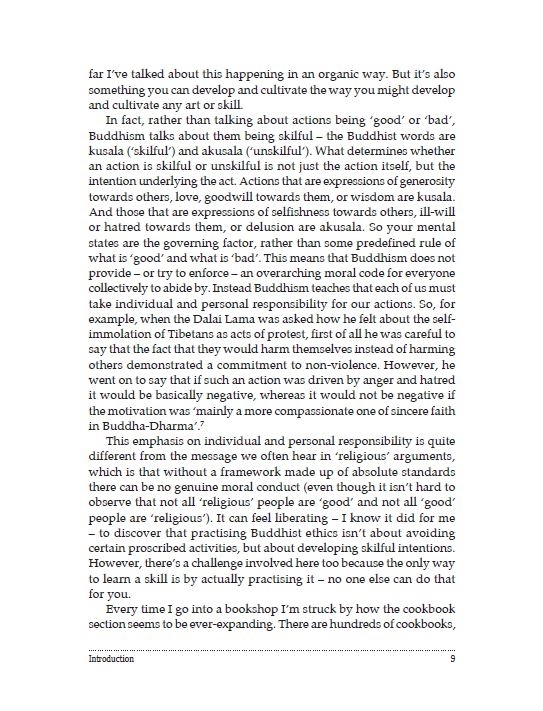 Buddhist ethics are not about conforming to a set of conventions, not about ‘being good’ in order to gain rewards. 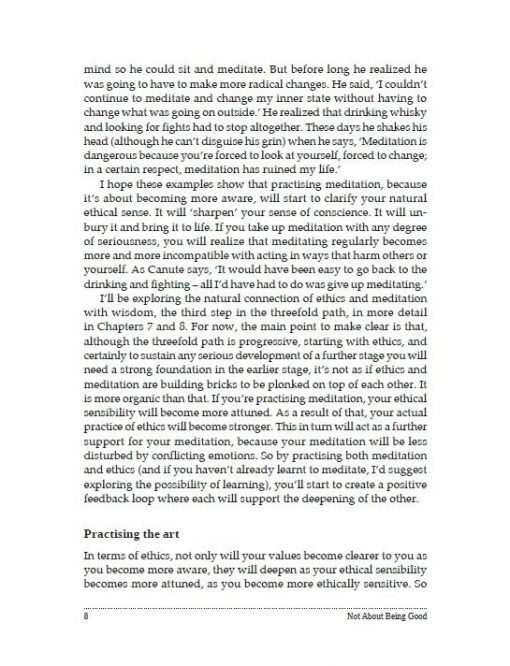 Instead, living ethically springs from the awareness that other people are no different from yourself. You can actively develop this awareness, through cultivating love, clarity and contentment. 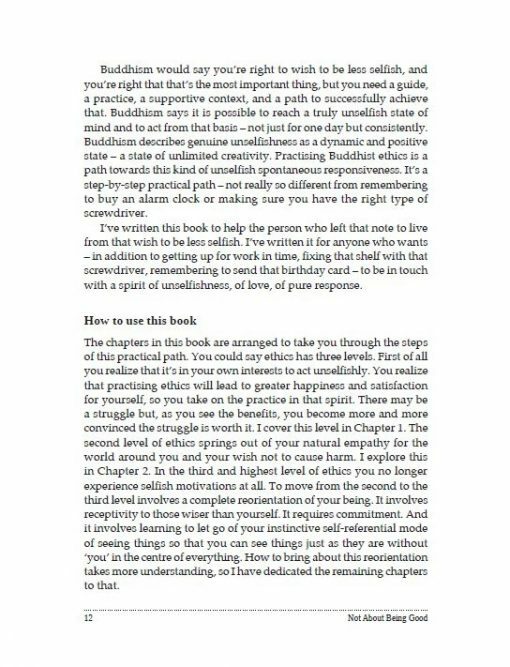 Helping you to come into greater harmony with all that lives, this is ultimately your guidebook to a more satisfactory life. I enjoyed reading this book as it brought up examples from people in today’s world which I could relate to. It is full of lovely thoughts and reflections one can use to bring more attention to one’s own life. A book I will read again! What a good book! 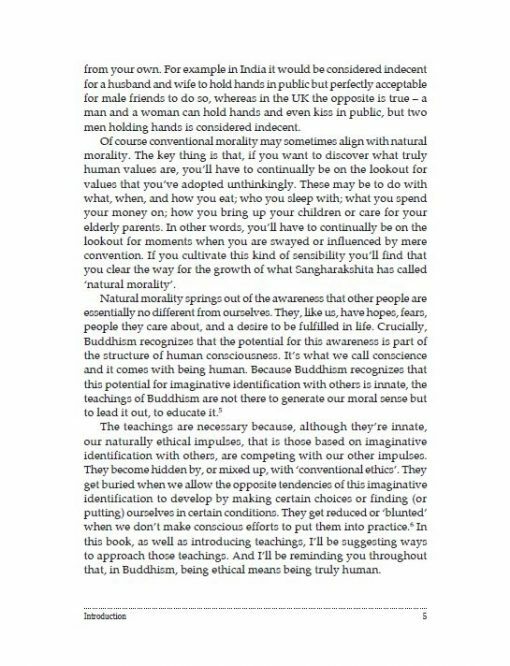 A book about ethics could so easily have been dry or worthy or both, but Subhadramati has made it very approachable, readable, humorous and persuasive. 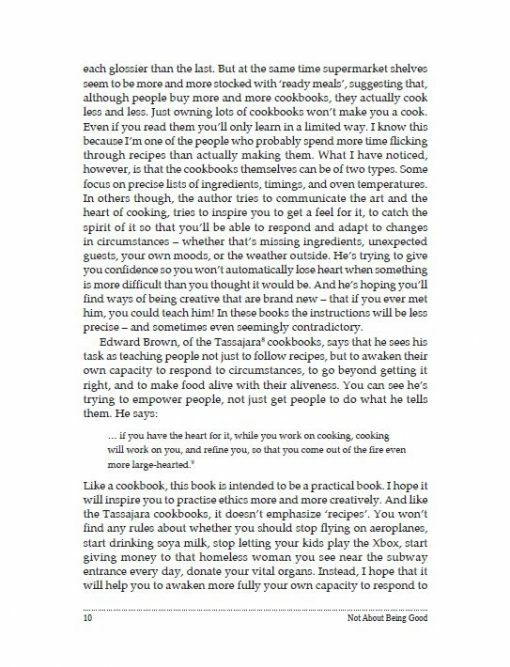 On reading this book, who could not doubt that this is the way to live! 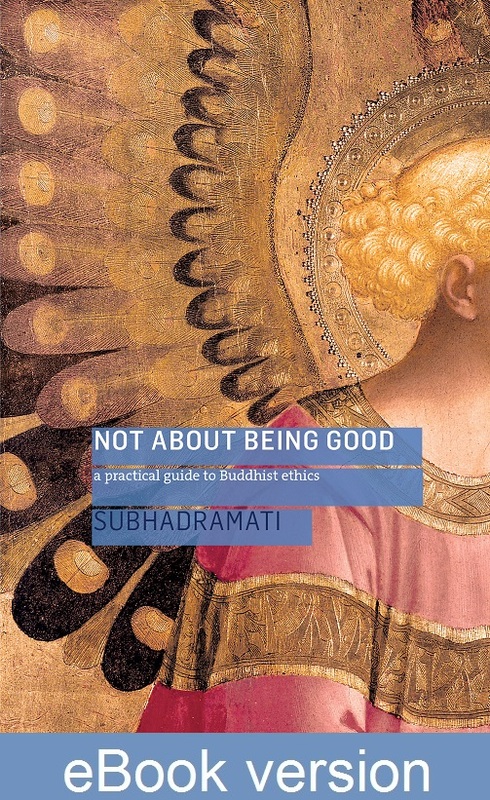 In Not About Being Good, Subhadramati brings Buddhist ethics to life, for real people living in the real world. 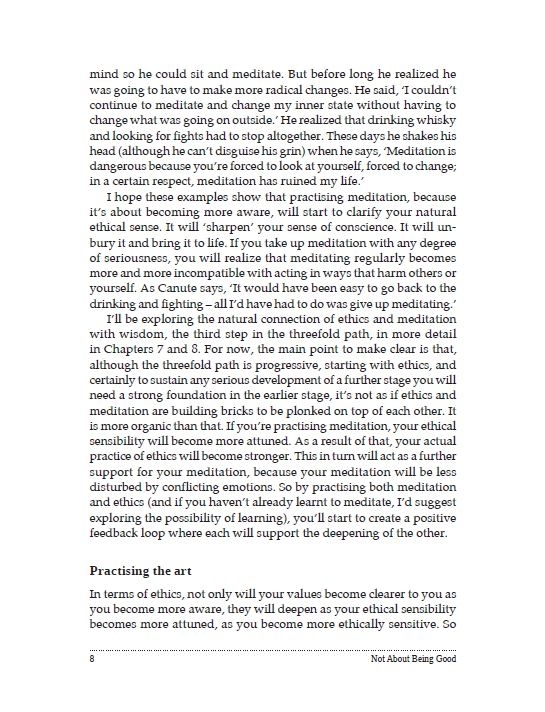 Drawing on her extensive experience of practising and teaching, she brings her unique gifts to the subject. Subhadramati has a wonderful perspective on life: she is in touch with a river running beneath the surface of things, aware of the wonder of being alive. 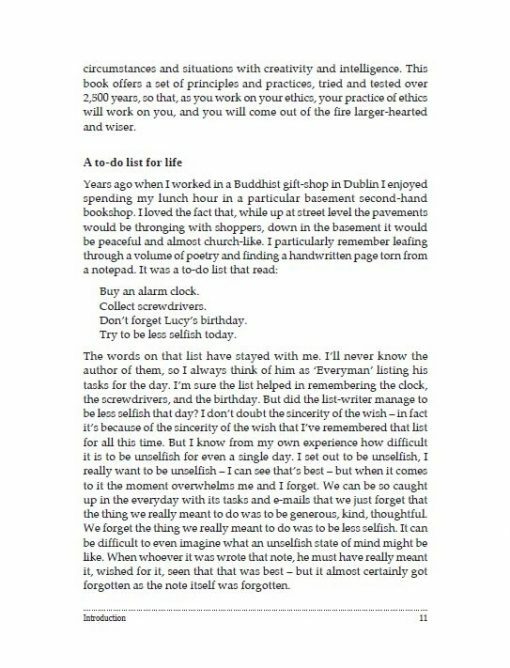 Yet the pragmatist dwells comfortably alongside the poet, and this makes her a realistic and sympathetic guide to ethics in the C21st. 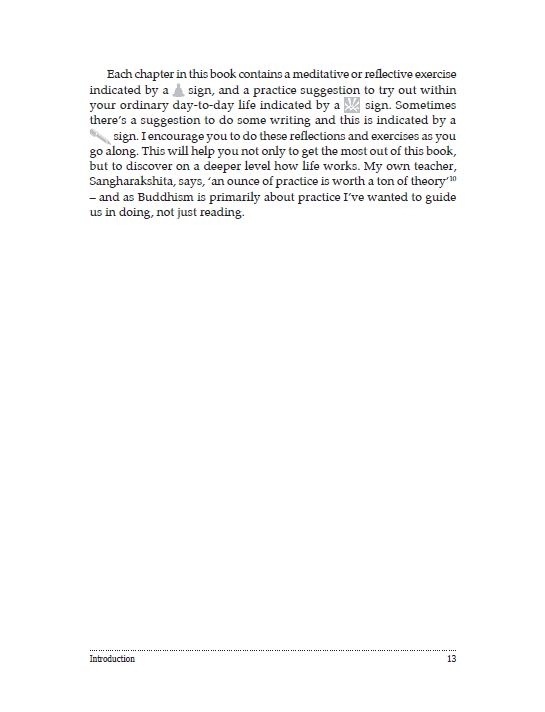 Here you will find exercises to help you build confidence in how Buddhist ethics can provide a fool-proof map for life, and you will discover great riches along the way. 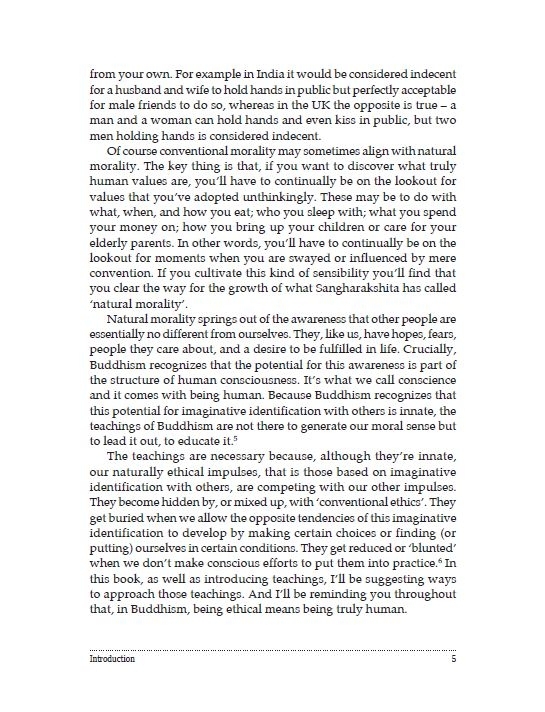 Subhadramati’s new book on Buddhist ethics is something new and very welcome. 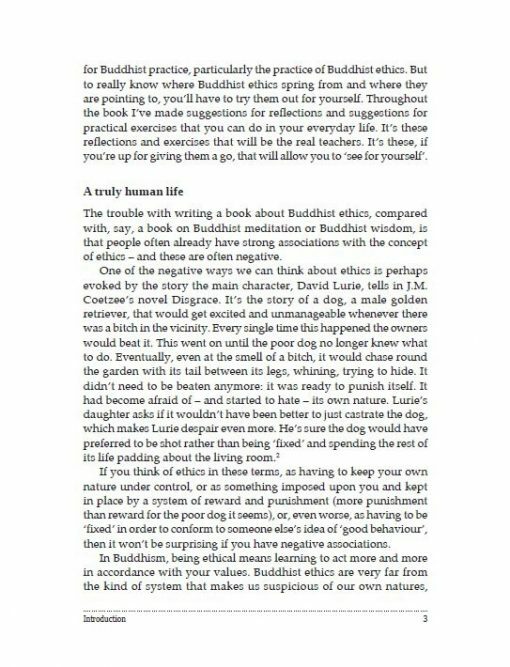 It is a resolutely practical book on Buddhist ethics, not just in the sense of being about practical matters, but in the sense of explaining how to practise Buddhist ethics. 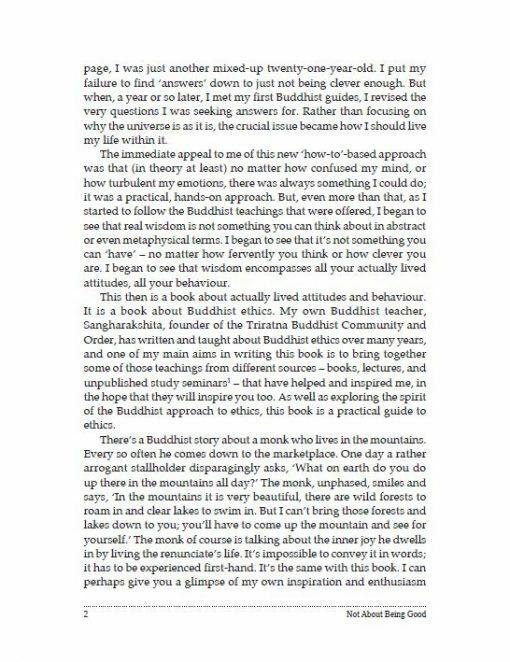 The aim of the book is not to explain the nature or scope or theory or history of Buddhist ethics, but to invite the reader to take on an active and effective ethical practice that will change his or her life. And it is not just a good read: the book includes reflections and meditative exercises linked to recordings available online. It is a personal study course in establishing a Buddhist ethical practice. Writing with passion, humour and delicacy, gloriously free from moralism, Subhadramati’s aim is to help us live a richer and fuller life. 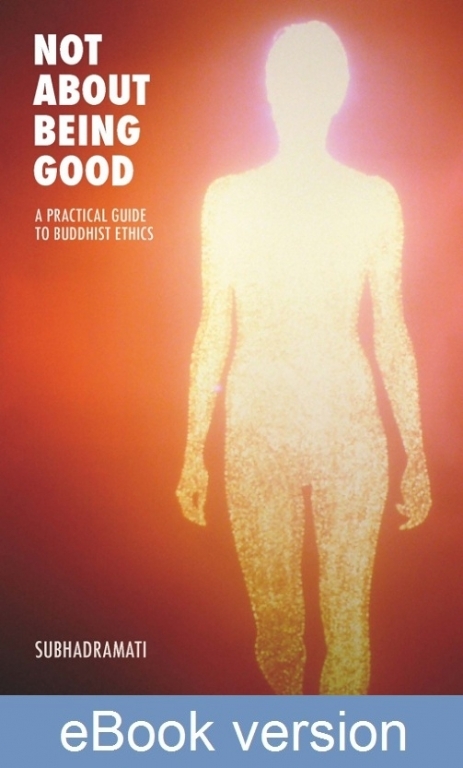 This book does an excellent job in placing ethics and meditation at the heart of Buddhist practice, and shows how they work together in transforming ordinary human beings into Buddhas. Not About Being Good is a skilful book about how to be ethical, full of personal material that is easy to identify with as well as wise stories that give one valuable food for thought. 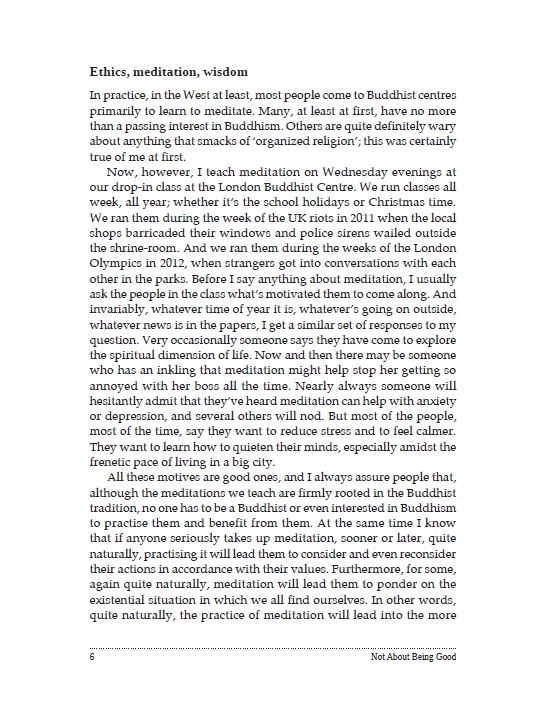 The style is lively and easy to read. 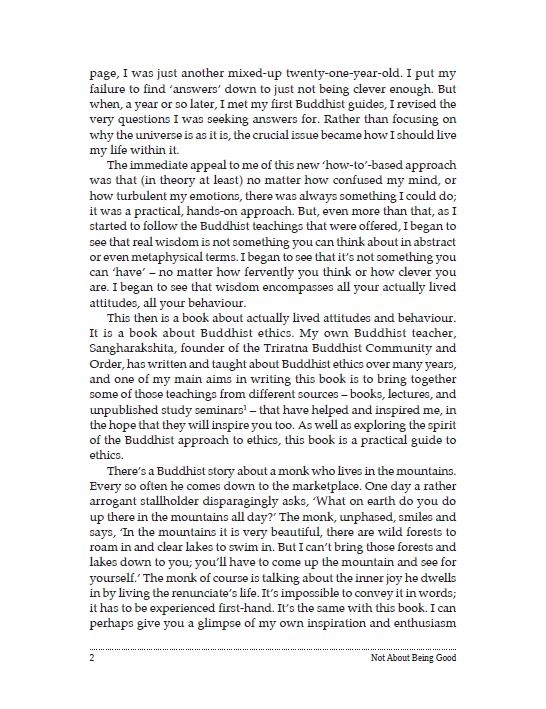 The author’s own struggles with the issues are disarmingly revealed as the book takes the reader on a progressive journey from scepticism to confidence and from confusion to more robust practice. I want to express my appreciation of your writing for its warmth and clarity, its accessibility and yet pointing to things profound, its honesty and its invitation to practise the Dharma. 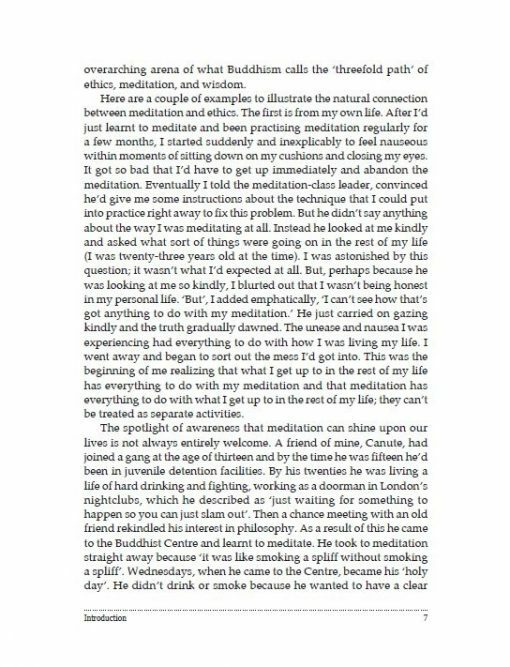 It is both encouraging and deeply challenging, as the Dharma should be; and it is so much in the lineage of Bhante Sangharakshita and his teachings and approach – not least because it draws on western literature as well as Buddhist scripture. 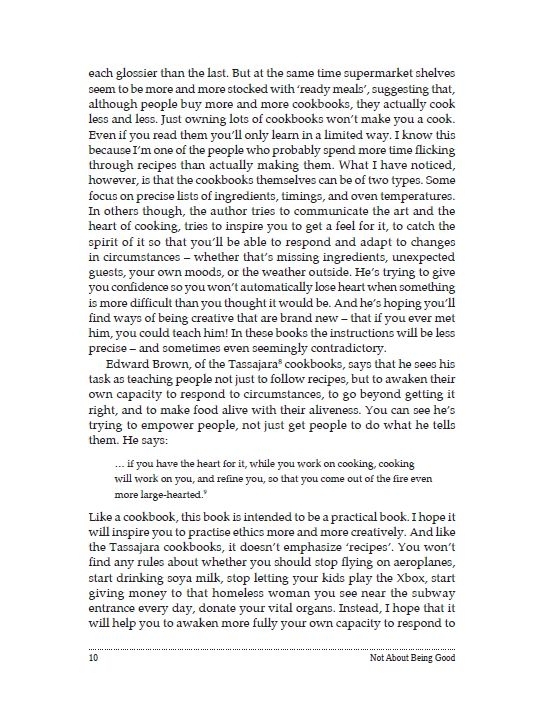 I hope you’ll write more.